Netball is a fast paced, semi contact sport most commonly played in the Commonwealth Nations. Netball was first developed in the 1890’s by England. Today it is now the number one female sport played in Australia for girls 16-24 years of age. Due to the nature of the popular sport which includes running, deceleration, jumping, landing, changing direction and contact from other players, the players are at an increased risk of injury. The most common netball related injuries are knee (45%) and ankle (40%) injuries (Antcliff, 2016). Lateral ankle sprains are the most common ankle injuries in netball. These can occur from landing awkwardly or landing on top of an opponent’s foot. It is important to go to a physiotherapist as soon as possible once a player has sustained an ankle injury. It is important to reduce the pain and swelling and to maintain ankle range of motion. The physiotherapist can assess the ankle to see which structures have been damaged. They will decide if an X-ray is required and choose which treatment and exercises will be of benefit to decrease the pain and stiffness. Remember, Rest, Ice, Compression and Elevation (RICE) is important to decrease the inflammation process. Before returning back to netball, the physiotherapist will work with you to remove the pain and swelling. You need to try to get full ankle range, strength and proprioception (balance) equal to the uninjured ankle to ensure a full recovery and to prevent further recurrences. Anterior Cruciate Ligament tears (ACL) are the most common knee injuries sustained in netball accounting for 35% of all knee injuries. 20% of ACL injuries are due to a direct blow to the knee, however 80% of ACL injuries are non contact; landing on one leg, with the knee turned inward, the foot turned outward, inadequate hip and knee bend with your trunk rotated. Movement patterns like these are often due to fatigue, reduced strength and decreased joint range of motion. If you are unable to weight bear on the injured leg and large amount of swelling appears immediately, you should try to make an appointment at Paddington Physiotherapy as soon as possible. We will assess your knee and refer for the appropriate investigations such as MRI. Physiotherapy as soon as possible is beneficial for knee injuries. The physiotherapist can assess which structures are injured, whether investigations are appropriate, manage and treat accordingly and write you a home exercise program. 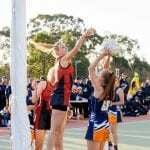 Whether conservative management or pre or post surgical repair of the ACL, you need to gain appropriate joint range of motion, muscular strength, balance/proprioception and sports specific exercises such as appropriate take off and landing technique, agility and plyometrics before you should return to netball. Netball Australia’s KNEE program (knee.netball.com.au) is an evidenced based framework for junior, recreational and elite athletes that provides a range of warm up and cool down exercises designed specifically for hip and knee muscle control, balance, safe strong landings, change of direction and landing with the ball. 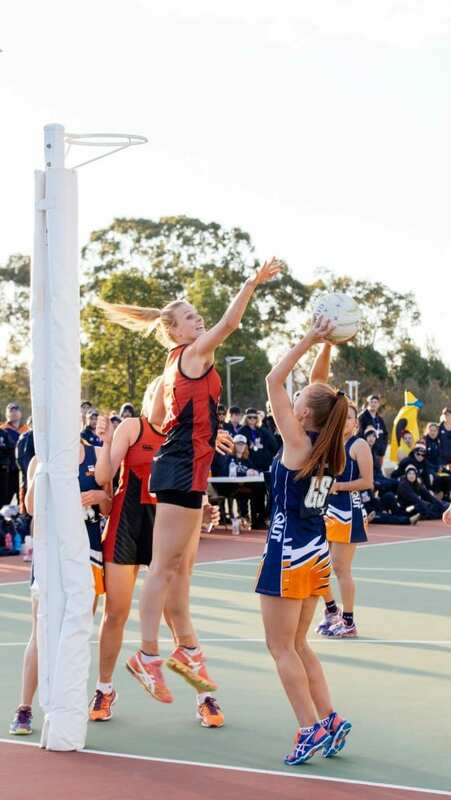 Other musculoskeletal injuries occur in netball such as fingers, wrist, elbow, shoulder, hip, feet, neck or back. These injuries can be seen and managed by the physiotherapist to ensure a speedy recovery and allow you to get back to the sport you love! This entry was posted in Client Education, Foot & Ankle, Hip & Knee, Sports, Lifestyle & Miscellaneous. Bookmark the permalink.